In my second year of university, way back in 1994, I took a course called Forms of Narrative Cinema. It was basically an overview of films that challenged classical narrative forms, with a focus on European art cinema (including Italian Neo-Realism and the French Nouvelle Vague, or New Wave) and some Asian movements. That semester changed me. Yes, I had been a keen filmgoer all my life and a lover of classic Hollywood (thanks to many Saturday nights spent watching Bill Collins’ Golden Years of Hollywood with my parents when I was younger) but now a whole other world of film opened up to me that I didn’t know existed. Over 12 weeks, we watched and discussed masterpieces that included Sergei Eisenstein’s Battleship Potemkin (1925), Yasujiro Ozu’s Tokyo Story (1953), Jean-Luc Godard’s Vivre sa vie (1962) and Masculin Feminin (1966) and Federico Fellini’s La Strada (1954). 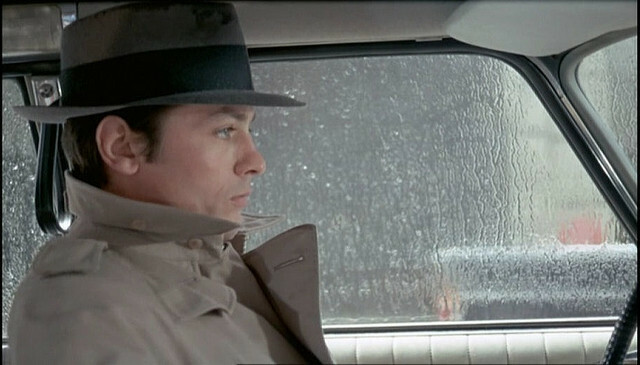 I met and fell in love with Alain Delon in Luchino Visconti’s Rocco and his Brothers (1960) and then again in Jean-Pierre Melville’s Le Samouraï (1967). I was moved to tears by Vittorio de Sica’s Ladri di Biciclette/Bicycle Thieves (1948) and Roberto Rossellini’s Roma, citta aperta/Rome, Open City (1945), then seduced by Massimo Girotti in Ossessione (1943, the Neo-Realist version of The Postman Always Rings Twice) and Jean-Paul Belmondo in Godard’s A bout de soufflé/Breathless (1959). And I finally understood that film is art with eternal gratitude to Michelangelo Antonioni, and his exquisite films, L’avventura (1960), L’eclisse (1962), Zabriskie Point (1970)and The Passenger (1975). These films led to many hours in my own time, between class and after class, secretly expanding my cinematic experience of the world in the library’s viewing rooms. On my own I encountered more of the Neo-Realists and New Wave, and then the New Hollywood these auteurs gave birth to: John Cassavetes, Robert Altman, Hal Ashby, Peter Bogdanovich, Francis Ford Coppola, Martin Scorsese and Brian De Palma. I watched Roman Polanski’s Chinatown (1974) and Stanley Kubrick’s 2001: A Space Odyssey (1968) for the first time. I revisited Alfred Hitchcock and discovered Douglas Sirk. The banquet of cinematic delights was endless. These are all extraordinary films and filmmakers. But one film I encountered for the first time that year has had an enduring pull. It is the film I can pinpoint as ‘the one’ – François Truffaut’s full-length feature debut, Le Quatre Cents Coup/The 400 Blows (1959). It is a beautiful, moving film that is intimately connected to my own cinematic awakening – forever changing the way I watch and feel about cinema. 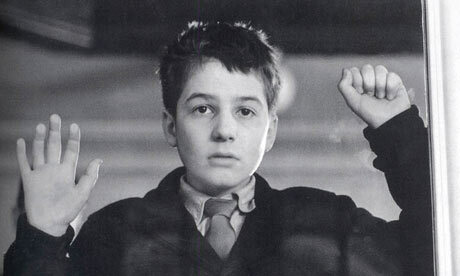 The 400 Blows introduced the world to Truffaut’s cinematic double – Antoine Doinel (Jean-Pierre Léaud). Four Doinel films followed over a 20-year period – Antoine et Colette (1962), Baisers volés/Stolen Kisses (1968), Domicile conjugal/Bed and Board (1970) and L’Amour en fuite/Love on the Run (1979). When we first meet Antoine Doinel he is a twelve year old teetering at the precipice between the world of childhood and adulthood. Like Antoine, Truffaut was a school truant and film buff, often skipping school and seeking refuge in the clandestine space of the darkened cinema. François Truffaut, along with Jean-Luc Godard, is considered the most famous director of the New Wave. The 400 Blows and Godard’s Breathless, both released in 1959, can be seen as the ‘movements’ manifestos with their non-linear narratives, documentary style, long takes, jump cuts and use of natural light and sound. Coming together from the influential French film magazine, Cahiers du cinéma, the New Wave directors, Truffaut, Godard, Eric Rohmer, Jacques Rivette and Claude Chabrol, all first made a name for themselves as film critics and passionate cinephiles (writing for Cahiers and regularly attending screenings at the Henri Langlois Cinémathèque Française which screened foreign films). As critics, they championed their own canon of filmmakers, with Truffaut a passionate devotee of Alfred Hitchcock, still underappreciated in Hollywood at this time (Truffaut’s series of interviews with Hitchcock, Hitchcock/Truffaut, first published in 1967, is definitely worth reading). The group was also influenced by Italian Neo-Realism and its use of outside locations, dialects and local customs to forge a new cinematic language. 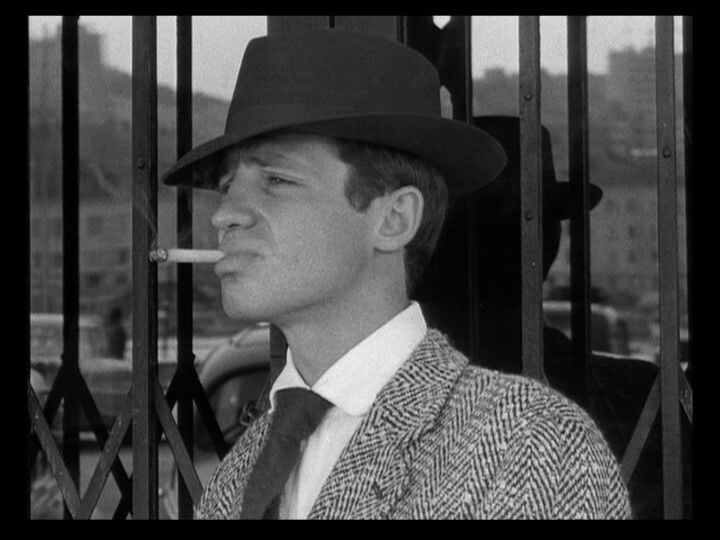 Truffaut, in particular, was a vocal critic of the old order. His famous essay, ‘A Certain Tendency of the French Cinema’, published in the January 1954 edition of Cahiers, lambasted the French cinema of the 1940s and 1950s. The films of this period, known as the ‘tradition of quality’, valued polished productions, were concerned with high culture and were often derived from classic literary sources. This was a cinema shaped by screenwriters and studios. In contrast, the New Wave advocated an auteur cinema, where the director was king, the true author of a film. Self-consciously rejecting classical cinematic forms, Truffaut called for a French cinema that took a ‘freer’ approach – improvised, not polished, spontaneous, not mannered, concerned with mise-en-scène over content and theme, a cinema that moved away from costumes and closed sets towards the freedom of the open air, the streets and apartments of everyday life. As youthful iconoclasts, the New Wave desired and created a French cinema that reflected French life, its people and its culture. Under the politique des auteurs, the New Wave promoted the importance of the director’s personal vision. As announced with The 400 Blows, Truffaut’s cinema is a deeply personal and self-reflexive one. As auteur he left an indelible mark on every film he made in his short career (Truffaut died too young, in 1984, from a brain tumour, at just 52). In 1957, Truffaut made Les Mistons/The Brats, an 18-minute short film that took the camera to the streets, as a group of boys follow and torment a young couple during a hot Provence summer. Outdoor locations are plentiful as is a truly French view of provincial life. The freedom of this new cinematic language oozes from every frame of his next, most personal film. The 400 Blows is cinema shot in the first person. 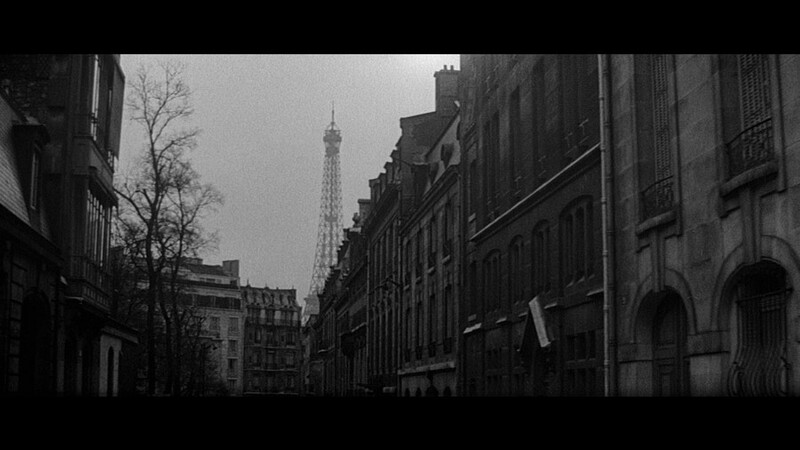 The film’s opening credit sequence establishes its freer approach as the camera tracks swiftly through the Paris streets. In a non-linear, episodic style, the film then shifts to the confines of Antoine’s school life and the additional restrictions of his home life, where he has a problematic relationship with his parents, especially his mother (Claire Maurier), who we later learn had wanted to abort him. These lyrical shifts in location, inside and out, are repeated throughout the films.When Antoine and his best friend René Bigey (Patrick Auffay) skip school, among the activities they amuse themselves with are visits to the cinema. These days are filled with outdoor location shoots – the camera has a birds-eye view on Antoine and René as they wind around the Paris streets. Truffaut intensifies the reality of these spaces with the almost exclusive use of diegetic sound throughout the film (apart from a lush, melancholy score by Jean Constantin). 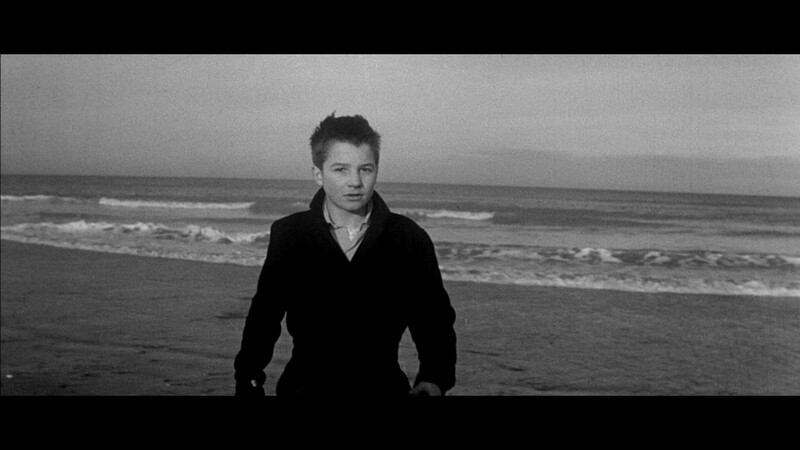 The 400 Blows belongs to a cinema of images not words; a cinema in love with cinema. There are many visits to the cinema in The 400 Blows. Perhaps one of the reasons I fell in love with this film when I did was that I recognised a kindred spirit in Antoine’s clandestine activity of skipping school to go to le cinéma. I was also watching films on the sly (like Truffaut had done as a boy) when I should probably have been reading or writing essays or preparing for exams. Watching films in those viewing rooms became another home for me – a source of constant pleasure, excitement, discovery and feeling. Watching films was all I wanted to do, all day, every day. Cinema was becoming an addiction. Truffaut knew this feeling. He had his own habit. Between 1946 and 1956 it is said that he watched more than 3000 films, sometimes as many as three a day. I didn’t think I was going to reach that figure, but was certainly doing my best to try. The cinema saved Truffaut’s life over and over again. Films were a sanctuary, a special place. And to show us this, the scene in which Antoine and his parents go to the cinema is one of the few moments in the film in which he experiences any real joy and happiness. I also remember being struck by the intimacy and poignancy of The 400 Blows and the sympathetic tone that Truffaut had suffused it with. Truffaut’s affection for his young protagonist, his care with him, as if caring for himself, is impossible to deny (Truffaut was a great director of children throughout his entire career). I had never seen a film about childhood quite like this. My heart broke for Antoine as he repeatedly got into trouble (mostly out of bad luck and not bad behaviour) and then broke again when his parents handed him over to the police after he is caught stealing a typewriter from his father’s workplace. Locked up with petty thieves and prostitutes, Antoine is suddenly forced to stop moving. The sweep and scope of life on the streets is contrasted with his night spent behind bars. Truffaut repeats this image, each time more painfully effective. Antoine’s tear-stained face looked out at me from behind the bars of the vehicle that drives him to the juvenile delinquency facility; Antoine, forlorn and alone as he stands at the window watching as his friend René is turned away from visiting him. During a soccer game, Antoine breaks away from the rest of the reform school group and begins to run. I was running with Antoine, as he tasted freedom, listening to his feet pounding the ground as the camera followed his every move. The film’s final sequence is liberating for the audience too. As he reaches the sea and rushes in he realises that there is nowhere else to go. Truffaut zooms in as Antoine turns around to face us, looking directly into the camera. Truffaut captures his expression and holds it with a freeze-frame close up shot. It is a face filled with hope, anticipation and maybe a little fear. Antoine has been running towards an unknown future and all of the film has been leading to this final shot. Recently revisiting The 400 Blows I knew it was this famous final scene that had really seduced me when I first saw the film. It has lost none of its beauty and poignancy for me today. All the possibilities for the future of cinema are contained in the final shot of Antoine’s face. Truffaut’s contrast of the still image with the fluidity of his storytelling is powerful. It suggests the extension of the narrative beyond the frame and beyond the boundaries of conventional storytelling. And most importantly it condenses the very essence and dynamic between stillness and movement that is at the heart of cinema. In some ways, it reminds me of the final scene in Ridley Scott’s Thelma and Louise (1991), where the characters can no longer be contained within the frame so literally escape it – over the cliff to their deaths, or actively seizing freedom from patriarchal convention, depending on how you read it. I think a similar idea, with different execution, is at work in The 400 Blows – Antoine is captured and held within the frame, but in standing still, is telling us that the narrative does not have enough room for his story and this forces him to stop. But it’s not the end. When I first saw it I imagined he might step out of this film and into another (I didn’t know then that I could follow up with Antoine in four later films); I knew his story wasn’t over yet. That beautiful still of Léaud’s face also marks the beginning for me of really discussing and dissecting film, of asking the perpetual question, what does it mean, and perhaps more importantly, can it mean something more than it has before. It did then, and it still does. A really interesting review! I am starting to review films using Word Press too and I have to added my comments on The 400 Blows if you’d like to follow me? Thanks! Thanks. I will definitely take a look at what you are doing. Be warned – blogging about film can be addictive! Nice to see that someone, somewhere in the world, shares this point of view on cinema. I’m Italian, so I grew up with neo-realism and sometime with nouvelle vague as well… nonetheless, those movies are a hidden treasure cache of wonders, even when you believe you have grasped all of it. Most of the people who watched those for years didn’t realize as well the immense power they got inside, dormant and be ready to be awaken. The power of entire generations with something strong and sometimes sad to say, without filters other than pure reality. Thank you for sharing this piece of experience! Thank you Gabriele. What a lovely comment. And thank you for reading.